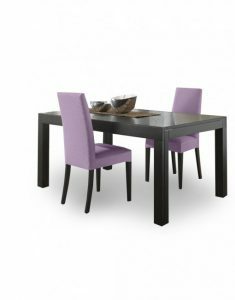 Most of us don’t have enough room in our homes to maintain a large, formal dining table all year round. Unless you live with extended family, you usually only have a handful of people sitting down to dinner every night. Yet when you host holiday dinners or invite friends over for dinner parties, you could have a dozen or more people sitting down to dinner. You can’t house a table that seats all of them when you aren’t hosting such special events. You need that floor space for other furniture or just to move around your home more comfortably. The Juggernaut Massive Extendable Table looks like an ordinary dining table when it is not extended. It has a simple design with a flat surface, straight edges, and straight legs. To extend the table, you do not need to get two people to pull out the table top and then wrestle with inserting heavy leaves that you store in your closet or attic when they are not in use. You just pull at the lip on the side of the table to pull out the top. The legs on the extension nestle right inside the legs of the main table, and the eaves are built in. You don’t have to manipulate any of the pieces of the table, and you don’t have to worry about adding or storing extra pieces. When both sides of the table are pulled out, you essentially have three of the original table sitting side by side. The extended table can seat up to 18 diners, which should accommodate your whole family — or most of them — at your gatherings. 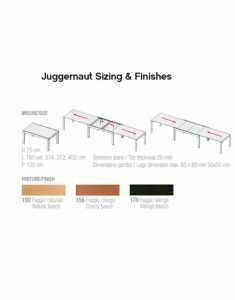 Thanks to the expanding design of the Juggernaut table, it has many potential uses besides a basic dining table. In a professional setting, the table could easily be used as a conference table in a small office. When the table is in its base form, it can be used as a simple desk or work space. When the table is expanded, it can be used for meetings and conferences. You can pull out one side for a smaller group or pull out both sides to take advantage of the maximum allowable seating. In your home, you can use it in other rooms besides the dining room. For example, you can use it in a sewing or crafting space. Use the base table for everyday activities, or expand the table when you need more room for a major project. You can spread out a quilt or another big project so that you have the room to work or to design. The Juggernaut Massive Extendable Table has a simple yet modern design that can fit into just about any aesthetic. It is custom-built in Italy after you order it, so it can be customized to suit your preferences. You can choose from three different wood finishes, including natural beech, cherry beech and wenge beech. The flexibility allows you to get the look you want for the table and the rest of your home. White glove delivery ensures that your table arrives with the same beautiful finish without any scratches or nicks. All you’ll see is the beautiful wood finish of your table and the quality construction. The flexible design of the Juggernaut table allows you to make much better use of the space in your home or your office. You don’t have to invest in multiple pieces of furniture to get the use you need, and you don’t have to clutter your space with furniture that is not always in use. 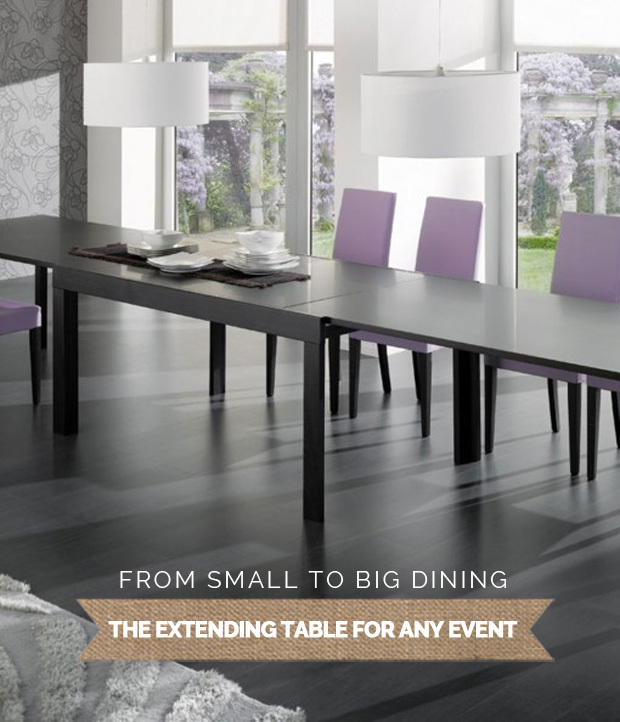 Expand Furniture sells high-quality expandable furniture like the Juggernaut table and other transforming tables. We also sell transforming beds, storage furniture, modular shelving units and more. We offer everything you need to create the decor you want while also making the best use of your space. Explore our online catalog today to find what you need.